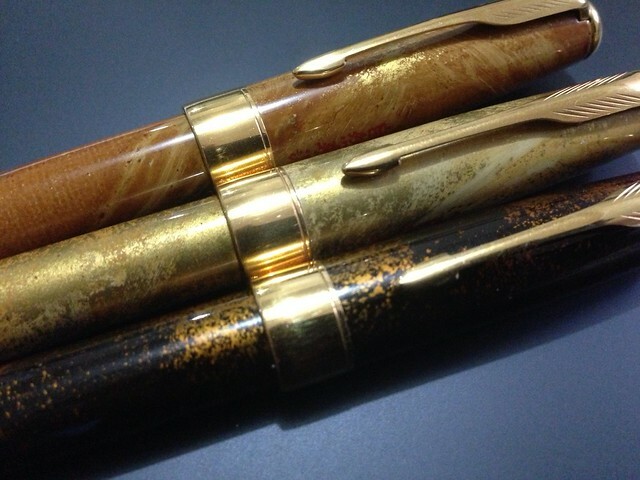 THE PARKER Sonnet isn’t a collecting focus of mine, but I couldn’t pass up these Sonnets in a lovely Chinese lacquer finish. Should be worth a 14-line poem! It’s always a pleasure to be in the company of friends and comrades in the profession, including many luminaries of our national literature who happen to be based in the Visayas and Mindanao. I’m especially glad to be addressing our young fellows, for whom I wrote this talk, for special reasons that will be shortly clear. In fact, I’ve decided to title this talk “To The Writer at 25,” aimed at writers of that age, give or take a couple of years. Why 25? Let me cite a statistic that, depending on how you take it, could either be empowering or overpowering. It’s a figure that’s been there all along but which no one seems to have thought about too much, probably because no one really knew what to make of it or recognized its potential significance. And here’s that fact: Jose Rizal finished writing Noli Me Tangere in December 1886 and published it by March 1887. At that point, he was still no more than 25 years old. Rizal had less than ten years to live after that. But by the time he was executed by the Spaniards in 1896, he had written two novels and parts or fragments of five more, as well as dozens of important essays and poems. Think of that for a minute—the Noli by age 25, the Fili by age 30, and a lifetime’s work by 35. If only for these, then—at least in my book—Jose Rizal does deserve to be a national hero, and not incidentally a National Artist. Those of us who are now far north of 25 might recall what we were doing at that age. We may have been already writing by then—I know I was—but I doubt that we were laboring at or even thinking about a Noli, or even a novel, at that time. At 25 I was married and a father, and I’d won a few literary prizes, certainly not enough to convince me or anyone else that I would go on to any kind of greatness, but enough to suggest to me that the rest of my life would be inscribed by literature, that I would do well to take it seriously, for better or for worse. I was out of school, and I had not even gone to my first writers’ workshop, but I knew, in my blood and bones, that I would go on to write more and more things, as inchoate as those things were to me then. It wasn’t even at 25 but a few months after turning 24 that Fyodor Dostoyevsky published his first novel titled Poor Folk, now nearly forgotten in the wake of his greater and more mature work but a critical and commercial success in its time. In fact, so intent was Dostoyevsky on pursuing a literary career that he published his second novel, The Double, a month after Poor Folk. I could go on and on, about this and that writer having written this and that work at this and that young age, but you catch my drift. While there may be no real prodigies in writing, there have been, on the other hand, many precocious people who began producing significant work around their 25th year. I bring this up because, as I prepare to embrace seniorhood in a few months, I find myself often asking if I have written enough, if I were to keel over tomorrow. But enough for what? Perhaps the more accurate question would be, did I write enough of what I could, when I could? What does age have to do with output and insight? This is what I’d like to talk about a bit this morning, this relationship between age and productivity in creative writing. I would have liked to say not only in creative writing but in the other arts as well, but this is where writing perhaps differs the most from music, painting, and so on. As I’ve often pointed out before, true prodigies don’t exist in literature, unlike in music or mathematics—no Mozarts who can write full symphonies or Ramanujams who can solve complex equations at a preciously tender age. We don’t find full-blown adult novels written by eight-year-olds, which was Mozart’s age when he composed his Symphony No. 1 in E Flat Major. Prodigies also abound in painting—The Huffington Post lists at least ten of them, one of whom, nine-year-old Kieron Williamson, recently sold 24 paintings worth almost $400,000 in one month and was reported to be preparing for a retrospective—yes, a retrospective. Why don’t we have a Brothers Karamazov or even a Gone With the Wind written by a third-grader? The reason is obvious: writing involves more than vocabulary; it requires social experience, which can only come with growing up. Even so, Rizal did an awful lot of growing up very quickly to be able to dish out the Noli and Fili by his 30th year. It was in my 30th year, in 1984, that I came out with my first book, Oldtimer and Other Stories. Throughout the mid-to-late 1970s, my officemate and I, the late playwright Bienvenido “Boy” Noriega Jr., then both in our early 20s, had carried on a fierce but friendly competition in the arena of playwriting. I drew first blood, with a first-prize win over Boy’s second place in the 1976 CCP Playwriting Competition—our mutual teacher in playwriting, Prof. Amelia Lapeña Bonifacio, came in third—but that was the first and last time I won over Boy, over many CCP and Palanca competitions that followed. As a result, I shifted from playwriting in Filipino to the short story in English, where I felt I was safe from Boy. But in the meanwhile, we made another friendly dare—to come out with our first books by our 30th year. As it happened, we both made it—barely: he published Bayanan-Bayanan at Iba Pang Mga Dula in 1982, after turning 30; I published Oldtimer in 1984, a month before turning 31. I recall these things because I also recall the intense awareness of age and time that accompanied our writing then. We felt under the constant pressure of a deadline—and I don’t mean just the Palanca deadline, although that was mightily important to us then, at a time when there was very little publishing going on, and competitions were literally the only game in town. Ours, after all, was the generation of the First Quarter Storm, of a brave but bloody activism that saw many of its acolytes fall at the steps of the altar in their teens and early 20s. If there was anything important we wanted to do—like write a book, or get married, or father a child—we had to do it sooner than later, because life was very likely going to be short, if not nasty and brutish. 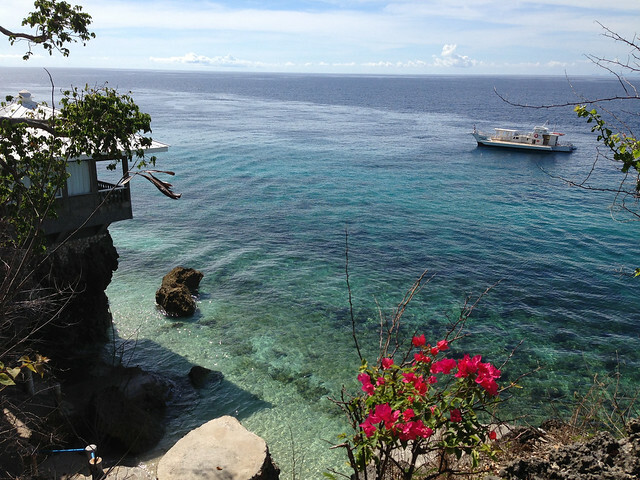 Iligan City in southern Philippines puts on the Ritz. 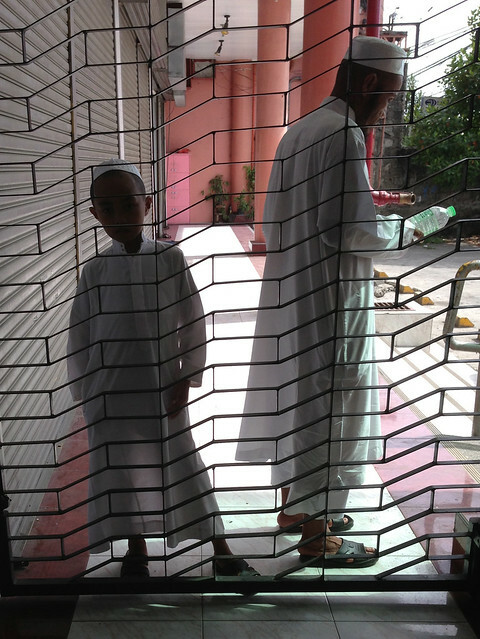 A Muslim boy and his father in Iligan City, in southern Philippines. 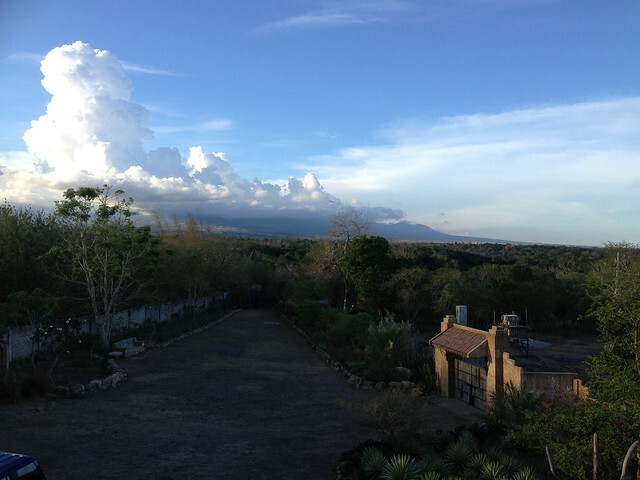 The gate to Karl Aguila’s home glows in the late afternoon sun, with Mt. Talinis on the horizon. LAST WEEK had me enacting another familiar ritual—sitting on the panel of the 52nd edition of the Silliman University National Writers Workshop in Dumaguete City. The oldest of all the country’s literary workshops, Silliman’s is also the longest at three weeks—a format it has retained for many decades now, certainly since I was a fellow myself in 1981. Three weeks of poetry, ocean, and boozing by starlight may be a young writer’s dream escapade, but old geezers like us panelists can’t take that much time off from the more mundane claims of life, so we sign up for no more than a week, and this year I took the middle week. Quite by chance, this panel acquired a trademark of sorts: David and I turned up in the panama hats we’d been accustomed to wearing, and Susan also sported a black hat, prompting Ricky and Vic to procure hats themselves, and soon the panel resembled a gathering of Mafiosi or mandarins. On the other side of the table were this year’s fellows: Corina Marie B. Arenas, Nolin Adrian de Pedro, Patricia Mariya Shishikura, Brylle Bautista Tabora, and Lyde Gerard Villanueva for poetry; Tracey de la Cruz, Sophia Marie Lee, Rhea Politado, and Patricia Verzo for fiction; Jennifer de la Rosa Balboa, Ana Felisa Lorenzo, and Arnie Q. Mejia for creative nonfiction; and Mario Mendez for drama. In addition, two special fellows joined the workshop from Singapore: Christine Leow and Nurul Asyikin from Singapore Management University. Every batch of fellows is arguably unique and different from its predecessors, but writers and workshops being what they are, the panelists will often find themselves dealing with the same old problems and challenges, albeit in new manifestations. Last week, in our sessions at the Rose Lamb Sobrepeña Writers Village in Camp Lookout in Valencia, we found an abundance of fresh writing talent, but also the need, as ever, to bring focus and refinement into the work of young wards. Thankfully it wasn’t all work, and there were timeouts aplenty from the daily dose of criticism that the fellows got. When you get tired of the beach, Antulang offers an alternative that I daresay no other beach resort in the whole archipelago has: thousands of good books in its Edith L. Tiempo Reading Room, a cozy little corner devoted to Dumaguete’s literary mother. I was very pleased to sign two books of mine that were on the shelves, but even more fun was talking with Edu and Annabelle about books and movies we all remembered and liked—the novels and autobiographical works of Han Suyin (after whom the Adrianos’ daughter Suyen was named), and The Seventh Dawn starring Capucine and William Holden. Anyone who likes Han Suyin and Capucine is a friend of mine! As a bonus, the Adrianos brought us to the nearby house of their friend Karl Aguila, one of the country’s brightest young talents in sculpture and design. 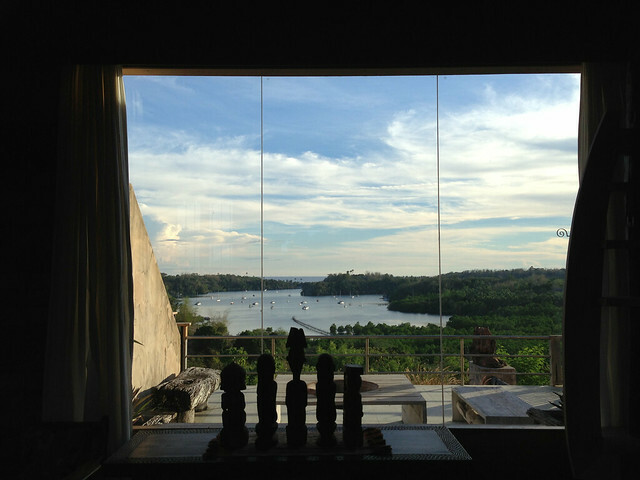 There’s no better showcase of Karl’s work than the sandstone-colored house itself, perched on a promontory overlooking scenic Tambobo Bay. With Mt. Talinis on the opposite side, it was just the sort of place where fabulous novels might get located, if not written. A candlelit poolside dinner was also tendered on the fellows’ and panelists’ behalf by Simon Stack and his wife Virginia (or “Tata”), with Simon’s gracious mom Joanna assisting them with the hosting. 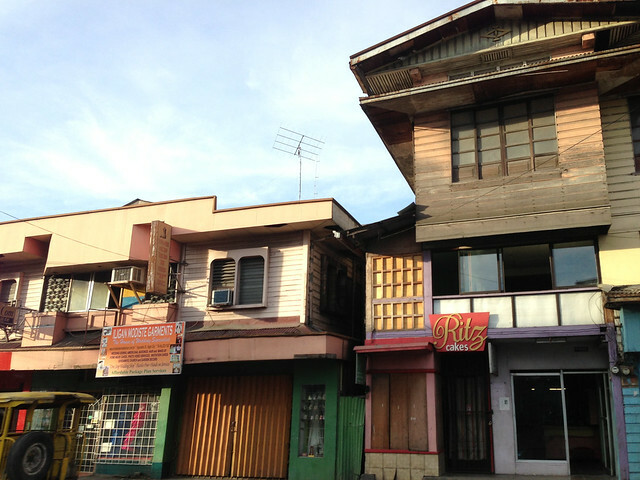 The Stacks have transplanted themselves from New York and the Bahamas to settle in Dumaguete, where Tata helps run a school for Koreans. Simon and Tata have become welcome and welcoming members of Dumaguete’s cultural community, and whether he’s playing the sitar, reciting Milton from memory, or rapping like a New York gangsta—which he did in the after-dinner reading—Simon shows how comfortable he feels in the bosom of that community. Again I’d like to thank the workshop sponsors—the NCCA, the Edilberto and Edith Tiempo Creative Writing Center, the United Board of Christian Higher Education in Asia, the US Embassy, and, of course, Silliman University—for having me over and making these memorable encounters possible. Thanks, too, to workshop coordinator Ian Casocot for facilitating everything. 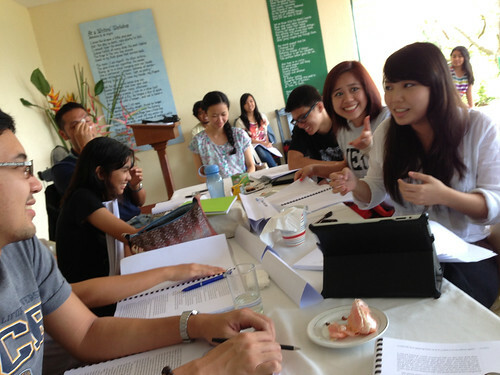 Next up in my datebook: the Iligan writers workshop, where I’ll be by the time you read this. 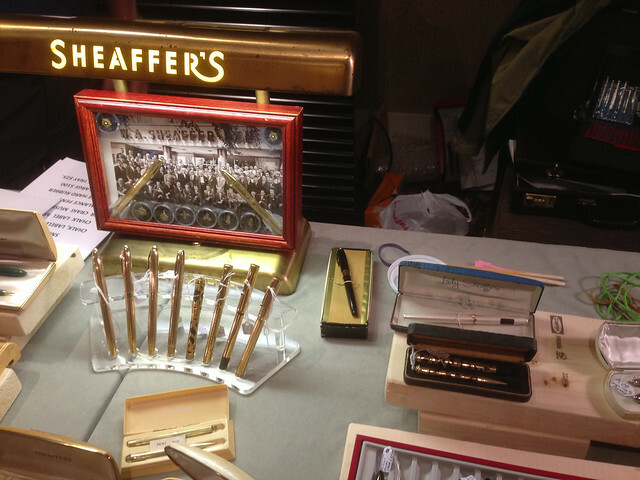 ON A side note, and just as I expected, my piece on fountain-pen repair a few weeks ago—as esoteric as it may have sounded to many—generated quite a number of responses and inquiries from readers, and fresh sign-ups at our fountain-pen club at http://groups.yahoo.com/group/fpn-p/. I’m always pleasantly surprised by how many people out there remember writing with pens, and still enjoy doing so despite the general shift from letters to digits in our daily life. I’m almost ashamed to report that despite my crazy summer schedule, I managed to squeeze in a week-long trip to the US in early May, ostensibly to pick my mother up in Virginia and to accompany her home, but also to make a quick two-day trip to the Midwest for the 2013 Chicago Pen Show, to gorge on an overdose of vintage Parkers, Sheaffers, Watermans, and nearly every other pen maker known to man. This is what the boy in me slaves away at all kinds of tedious jobs for: a day at the toy store, also known as pen heaven. And if you feel like disposing of that useless old pen that won’t write, let me be your trashcan. IT’S BEEN a very busy traveling month for me, and it’ll get even busier these next few weeks, with paneling duties in two of our country’s premier writers’ workshops—in Dumaguete from May 12 to 17, and Iligan from May 20 to 24. 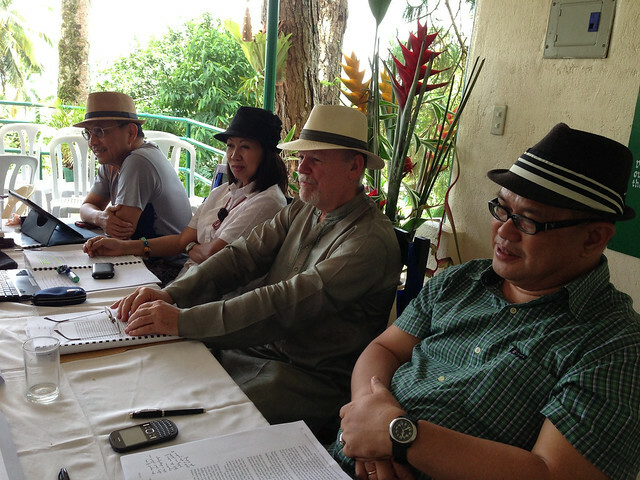 The UP National Writers Workshop usually begins right after Holy Week, with Dumaguete and Iligan following in May. The University of St. La Salle in Bacolod, the Ateneo de Manila University, and the University of Sto. Tomas also hold their writers’ workshops sometime over the summer. This means that Filipino writers both young and old don’t get much of a vacation from the writing life, which is probably as things should be, as those who profess to writing as a lifetime profession should consider themselves pledged to a kind of priesthood bound by certain vows—among them, to be able to think and to function as writers under any circumstance, and to see everything, including whatever tragedies may befall one’s life, as material for the imagination to convert and elevate to meaning. I remember having a good chat about this with my workshop students in Hong Kong last month—that, even when sitting idly at the airport waiting for a flight, a writer should be able to look around the pre-departure area and construct stories about that old man with a cough and that boy with a yellow Tonka truck and that flight attendant rubbing the back of one leg with the other, unshod foot. But it isn’t as if a writers’ workshop means a week of drudgery and hard labor—there’ll be much mental labor, for sure, but it’ll be the labor of birthing, of seeing a project through to its best possible completion, with joy and delight attending the pain and anxiety. Of course there’ll be a few stillbirths as well, a logical and ultimately merciful form of natural selection; apprentice writers who just can’t make the cut should be told early on that they might make better lawyers or engineers, and perhaps they will. We discuss works in progress at the workshops, but the real subjects, in a sense, are the writers themselves—the writers in progress—and their talents, problems, and prospects. As I’ve noted before, a writers’ workshop is half boot camp and half support group, and it could feel one or the other on different days. I’ve long been associated with Dumaguete since I myself became a fellow in 1981 (and thereafter pledged myself to a life of writing), but this will be the first time I’ll be sitting at the Iligan workshop—I’ll be delivering the keynote there as well—so let me talk a bit more about Iligan. This will be the Iligan National Writers Workshop’s 20th year, and it will be hosting five workshop alumni and 13 new fellows chosen from 65 applicants. The inclusion of the five alumni is a special feature for this anniversary, and is a sign of the workshop itself maturing through time under the guidance of MSU-IIT’s leading literary lights, Drs. Christine Godinez-Ortega and Steven Patrick Fernandez. LUZON: Fiction (English): Ma. Vida Cruz, Ateneo de Manila University/Quezon City; Laurence F. Roxas, UP Diliman/Pasig City; Poetry: Louise Vincent B. Amante (Filipino) UP Diliman/Quezon City. 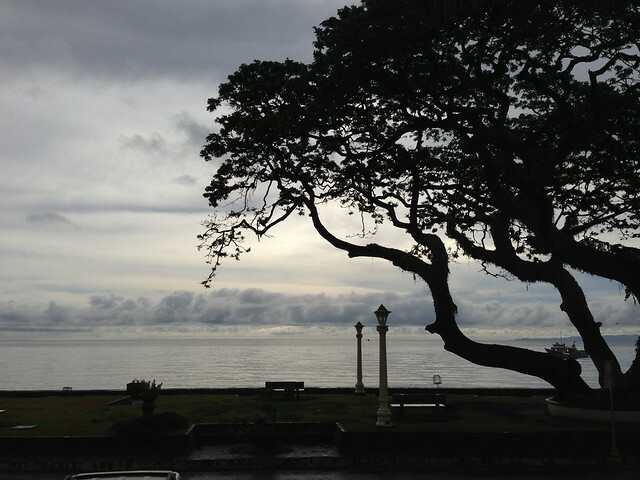 VISAYAS: Fiction: Nikos H. Primavera (English), UP Visayas/Iloilo City; Poetry: Ma. Carmie Flor I. Ortego (Waray), Leyte Normal University/Calbayog City. Ortego is the 3rd Boy Abunda Writing Fellow. MINDANAO: Play: Dominique Beatrice T. La Victoria (Sebuano), Ateneo de Manila University/Cagayan de Oro City; Fiction: Edgar R. Eslit (Sebuano), St. Michael’s College/Iligan City; Rolly Jude M. Ortega (English), Notre Dame of Marbel University/Isulan, Sultan Kudarat; Poetry: Amelia Catarata Bojo (Sebuano), Central Mindanao University/Musuan, Bukidnon; Marc Josiah Pranza (English), UP Mindanao/Surigao City; Shem S. Linohon (Higaunon), Central Mindanao University/ Valencia City. He is likewise the 5th Manuel E. Buenafe Writing Fellow; and Vera Mae F. Cabatana (English), MSU-IIT/Iligan City. Cabatana is the 5th Ricardo Jorge S. Caluen Writing Fellow. LUZON: Fiction: Susan Claire Agbayani (Filipino), Maryknoll College/Manila. VSIAYAS: Fiction: Hope Sabanpan Yu (Sebuano), University of San Carlos/Cebu City; Norman T. Darap (Kinaray-a), University of San Agustin/Iloilo City; Poetry: Cindy A. Velasquez (Sebuano), University of San Carlos/Cebu City. MINDANAO: Poetry: Ralph Semino Galan (English), MSU-IIT/Iligan City. This year’s panelists include Leoncio P. Deriada, John Iremil Teodoro, Merlie M. Alunan, Victorio N. Sugbo, Macario D. Tiu, Steven Patrick C. Fernandez, German V. Gervacio, Antonio R. Enriquez, Christine Godinez-Ortega (INWW Director) and the keynote speaker, yours truly. 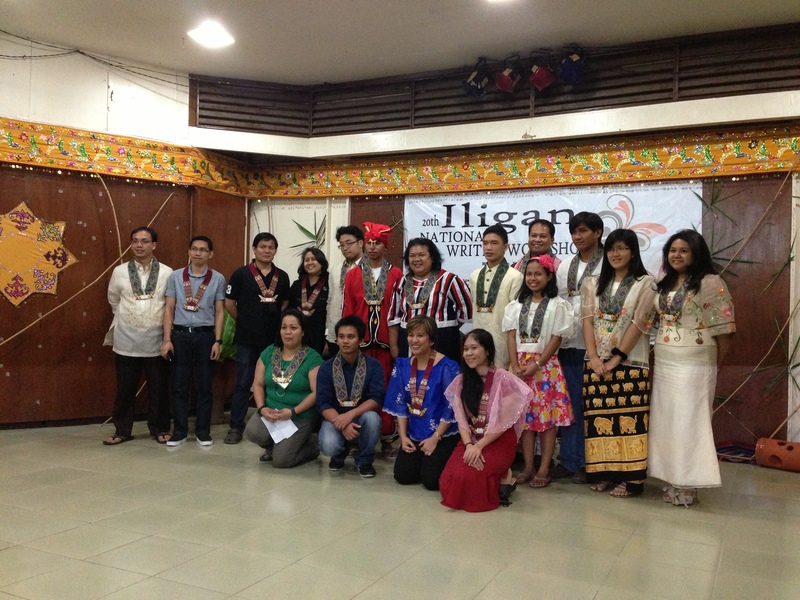 The Iligan workshop is unique among the five national writers’ workshops in that it publishes every year’s proceedings, so last year’s output, edited by Dr. Godinez-Ortega, will be launched this month. The workshop will also feature the Jimmy Y. Balacuit Memorial Literary Awards and a Seminar on Literature, Translation & Pedagogy on May 20 for tertiary language and literature teachers organized by the Department of English of the College of Arts & Social Sciences. Teachers interested in joining the seminar should call Honeylet Dumoran of the MSU-IIT Department of English at (063) 2233806. ON A related note, I’m very happy to report that two Filipino writers are among this year’s Civitella Ranieri Fellows: the Canada-based novelist Miguel “Chuck” Syjuco and the poet Mark Anthony Cayanan, who’s now working on his MFA in Creative Writing at the University of Wisconsin in Madison. Chuck zoomed to rightful prominence five years ago when his novel Ilustrado won the Man Asian Literary Prize, and he’s since been at work on another novel, which is very likely what he’ll be doing on this fellowship. Mark taught at AdMU and was one of the editors of the internationally-recognized Kritika Kultura as well as the author of a poetry collection titled Narcissus (AdMU Press, 2011). 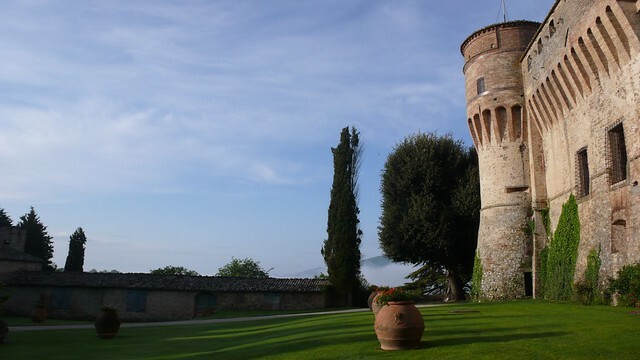 The Civitella Ranieri Fellowship, which I was privileged to enjoy two years ago, is one of the writing world’s great luxuries, a prize in itself. Fellows spend a month in a medieval castle in Umbertide in central Italy, not too far from Perugia, to work on some significant personal project; I was able to put down 30,000 words of my third novel in that time, and while it’s still a long way from completion—a novel can take me five to ten years to finish—it wouldn’t have found that surge without some help from the Civitella Ranieri Foundation, which runs the Italian program from New York. Civitella attracts more than writers—musicians, painters, and performance artists make up the rest of each batch of 12 to 14 fellows from all over the world. You don’t apply for a Civitella fellowship, at least not directly; you get nominated anonymously by some authority in your field, and then you propose a project that a jury will review and approve. Many of my fellow fellows at Umbertide were as old as or even older than I was, in their fifties and sixties, and it’s wonderful that Chuck and Mark are receiving this honor in the prime of their youth, with their best years and works still ahead of them. Chuck was a fellow in the 1998 Dumaguete Writers Workshop, and Mark was a fellow in the 2001 UP Writers Workshop in Baguio. Some days it may seem a very long way from Dumaguete or Baguio to Umbertide, but Chuck and Mark show that you can build that path and all the bridges you need to cross the water, word by patient word, word by luminous word. 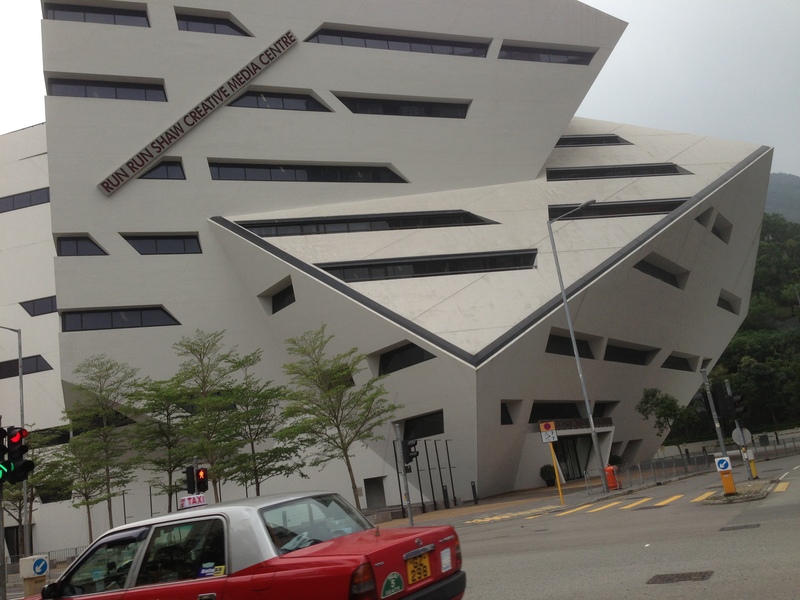 VERY RECENTLY, over a long weekend, I was at the City University of Hong Kong where I had been invited to hold what they call a “generative workshop” for the university’s Master of Fine Arts program in Creative Writing. City U’s low-residency MFA program has been a pioneer of its kind in our part of the world; what “low-residency” means is that you can take and complete most of the program from afar, online, having only to physically attend two or three sessions a year with one’s mentors at City U’s sprawling campus near the Kowloon Tong MTR station. The low-residency formula allows for both students and instructors to come from all over—Asia, the US, the UK, and Europe. This time, my “mini-residency” group included a French woman doing risk analysis at a bank; a Chinese teacher of American literature; a Chinese-American woman who returned to Beijing from Chicago; an American working for a high-tech firm in Shenzen; and a Chinese-Canadian musician. None were full-time creative writers, but all shared a passion for the written word, and all had interesting stories to tell, whether in fiction or nonfiction. The mini-residency is an intensive morning-to-evening three-day workshop designed to generate ideas for new work, and my fellow instructors (this year, it was the eminent American nonfictionist Robin Hemley—who’ll soon be heading the Yale-NUS liberal arts program in Singapore—and the Indian novelist Sharmistha Mohanty) and I were asked by the program director, the Chinese-Indonesian-American novelist Xu Xi, to focus on the subject of intimacy: not how intimately characters feel about each other, but how intimacy (and its correlative, distance) might be achieved in a creative work. I designed my workshop to explore how writers employ different approaches and techniques to suggest distance or intimacy in their work, primarily through description and narration. We took “distance” here to mean both the physical and psychological distance between reader and subject—factors that mediate the reader’s response to the text and, of course, the presentation of the narrative itself. In both fiction and creative nonfiction, writers assume a certain standpoint or perspective vis-à-vis their subject. This has a lot to do with—but is not necessarily the same as—point of view. A writer might be detached and clinical in his or her approach, describing things and narrating events from a distance or from behind a glass wall, with seemingly little or no involvement in the unfolding narrative. And then again, he or she might be and might sound totally immersed in the scene, surrendering all objectivity to subjective impression, led on less by logic than by emotion. We’re all a long way from being Buzattis and Selzers, but in my workshop, we took a look at how both fiction and nonfiction writers deal with distance and intimacy, and why certain approaches work best in certain situations. This led to the student-writer’s own exploration of his or her options when contemplating a work in prose: how far or how near are you going to be to your subject? How do you negotiate and calibrate physical and psychological distance? Over the weekend, I gave my students a series of increasingly more complex exercises: first, to provide an objective description of a setting, any familiar spot in Hong Kong; second, to introduce a character into that setting; third, to give that character a problem; and fourth, to write a dramatic monologue, from within that character’s point of view, dealing with the problem and reflecting in some way the setting around the character. City U’s impressive new Run Run Shaw Creative Media Center (pictured above), where our workshops were held, stands on top of a hill from where the lights of distant buildings glow and twinkle through the afternoon mist. It’s a great vantage point from which to appreciate the new, culturally resurgent Hong Kong—and to reflect on one’s own location in the great GPS of an increasingly globalizing literature.